Hey there, just wanted to briefly share my thoughts on a couple feuds I’d be in favor of in 2019. There are numerous others, of course, but thought I’d share a few. This week on SmackDown, we had a tag match pitting Jeff Hardy and Rusev vs. Shinsuke Nakamura and Samoa Joe, and it dawned on me – I want to see a Samoa Joe/Rusev feud. I think it could be good. Two absolute brutes butting heads. I’m not quite sure how the story would unfold, but I think the feud as a whole wouldn’t be half bad. 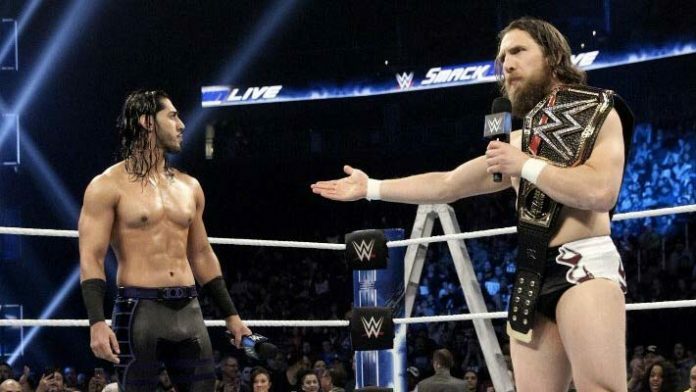 Daniel Bryan faced “The Heart Of 205 Live” Mustafa Ali on SmackDown last night and you could tell they held back, and that it isn’t the only encounter these two will have. Both of these guys are phenomenal athletes and are quite similar in size and ability; both are of the underdog mentality. The similarities are uncanny. And that all makes for an interesting match-up. Last night we saw a simple and pretty straightforward match, but I want to see a full-fledged rivalry between the two in 2019. This one has to be bound to happen, no? I thought we were getting it sometime while AJ Styles was WWE Champion, but obviously not, at least not yet. The cold, calculated style of Randy Orton and the fast paced, precise style of AJ Styles would mesh well together. Randy Orton is an incredible heel when he wants to be, and when he is given the freedom to be more diabolical, while AJ Styles is, of course, great at whatever is thrown at him for the most part. This feud definitely has potential. Now, this one is already rumored and most likely going to happen in the near future. How I see it playing out is either the simple way – Seth Rollins wins the Royal Rumble and chooses to face Brock Lesnar at WrestleMania for the Universal Championship. That, or since Baron Corbin promised to put Seth through hell after TLC and beyond until he quits, Rollins will have that never say die attitude and will battle his way into rightfully earning a title opportunity. A couple things would need to happen in order for this to occur – Sanity, Harper and Rowan would need to move to RAW or Bray Wyatt would need to make the move to SmackDown Live. All of these guys have been stuck in the mud, if you will. Bray Wyatt has been injured and just not used, The Bludgeon Brothers have been plagued with constant injuries, and as for Sanity, well, they just simply haven’t done anything. They are such a similar sort of faction, so this potential rivalry writes itself. 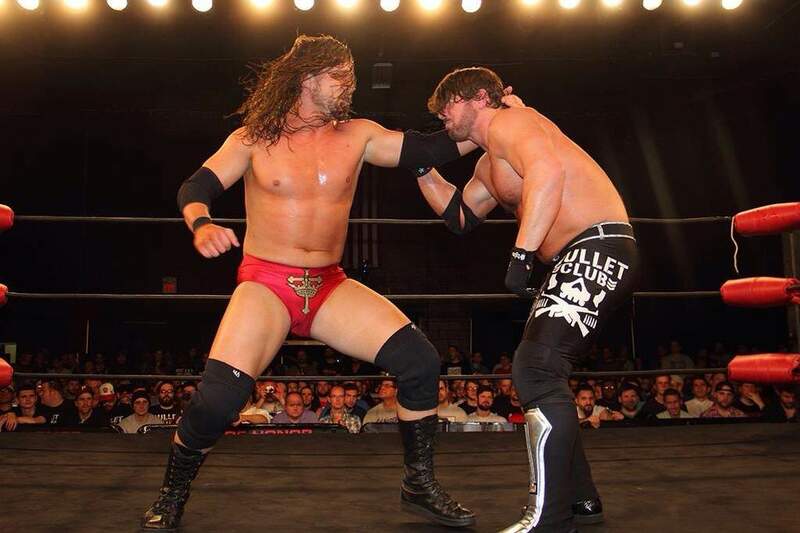 Adam Cole will eventually move up to the main roster and one guy that is an obvious (and great) choice for his initial feud is none other than former WWE Champion AJ Styles. I would honestly have the Undisputed Era debut alongside Adam Cole when the time comes. Upon their debut, they brutally attack AJ Styles, costing him a huge opportunity like the WWE Championship or something along those lines. AJ, needing backup, could then call his boys Karl Anderson and Luke Gallows. This would set up a couple marquee matches: AJ Styles vs. Adam Cole and the Undisputed Era vs. The Club. I’d be down or that. After a rather poor year for WWE in 2018, the company is in need of a turnaround in 2019. If it were up to me, I’d do another Superstar Shake-Up in the summer months to well…shake things up. Also, SmackDown is moving to Fox, and with that, big changes are planned apparently, and the rivalries I mentioned above could very well be the cherry on top. Let’s hope for a better WWE product next year.